Merrion Hall Hotel in Dublin. Hotel in Dublin City, Dublin. 4 star Hotel in Dublin, Ireland. 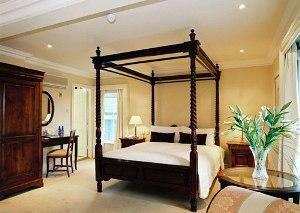 Welcome to the Merrion Hall Hotel in Dublin. This 4-star manor house hotel has a great location in the peaceful and exclusive Ballsbridge district of the city of Dublin, offering free Wi-Fi Wireless Internet access & free parking just minutes from the city's cultural and business districts. For more information or to check the availability of this Hotel in Dublin please click on the availability link above and below. The Merrion Hall is in Dublin, Ireland. The address is 54 Merion Road, Dublin.